Black carbon, which is emitted into the atmosphere as a result of coal-burning stoves and diesel cars, has a huge effect on global warming; in fact, new research indicates that its impact is only rivaled by that of carbon dioxide. Black carbon, or soot, circulates in the atmosphere for than a week; carbon dioxide, in comparison, remains for up to 100 years. Reducing black carbon emissions, therefore, could have a quick, positive environmental impact, leading scientists to speculate that doing so may be the best course of action for now. It is important to note, however, that this does not mean the public should forget about carbon dioxide emissions. Instead, reducing the amount of black carbon in the air should be done in addition to other strategies. Recently, a study was released in the Journal of Geophysical Research – Atmospheres; the authors looked into exactly how black carbon affects the climate. They were suspicious at the outset that soot had something to do with global warming. What they discovered, though, is that black carbon actually has a much greater role in the process than anyone anticipated. Not only does it take in sunlight, which heats up the atmosphere, but it also has the ability to alter clouds in such a way that they do not maintain their normal reflective properties. In order to truly make a difference and slow down global warming, it is important to figure out what kind of black carbon is most important to address. Reports indicate that this is the soot that comes from both diesel engines and coal-burning stoves. Both Europe and the United States are making strides in this area; some diesel automobiles are now clean-burning and much safer for the environment. Similar technology is also available for stoves, although it can be expensive. It is crucial, though, to make sure this initiative spreads across the world, including to developing countries. It is also important to continue addressing the issue of carbon dioxide emissions in order to truly make a difference. In addition to avoiding soot-producing diesel cars and coal-burning stoves, there are things you can do to help with global warming. Reduce waste by recycling and always choose reusable products whenever possible. Carpool, use public transportation or bike to your destination. Hire an Odessa pest control company, or an exterminator that is local to your area, that specializes in integrated pest management. Finally, simply save energy whenever possible, by unplugging your appliances when not in use and turning off lights when you leave a room. 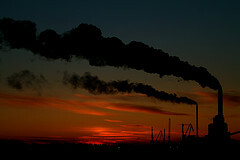 Carbon dioxide emissions have long been cited as playing a pivotal role in global warming and climate change. Black carbon, however, needs to be addressed as well, and doing so has the potential to quickly make a difference with these environmental issues. About the author: When not writing about green and eco news, Chris is a college admissions advisor.